 One of the proposals identified in the planning document Journeying Together in Faith was the provision of training and formation for Parish Finance Committees. These workshops will include input on the Diocesan Guidelines for Parish Finance Committees, an overview of the annual Diocesan Accounts and Best Practice for Parish Finance Committees. The workshops will include time for questions and answers as well as opportunities to share the experience of what works well and what are the current challenges for our Parish Finance Committees. By means of this letter I invite you and the members of your Parish Finance Committee to one of the workshops. It is intended that each workshop should last no longer than an hour and a half. In order to assist with the planning for each workshop I would be grateful if you could complete the slip below and return it to the Diocesan Office by March 21st. It is my hope that the workshops will be helpful and informative for all who serve as members of Finance Committees in our parishes.